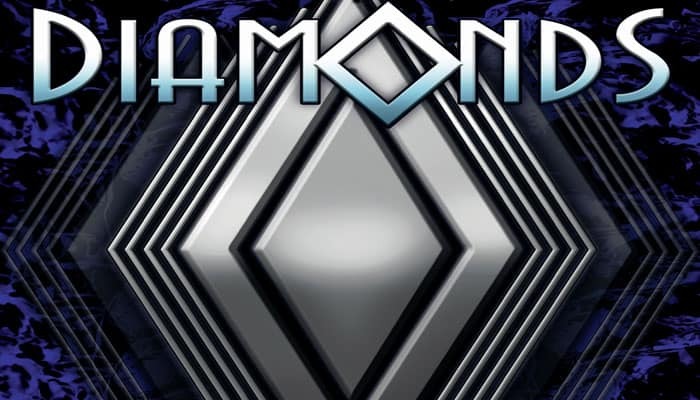 Diamonds is a hand management card game in which player try to collect diamond cyrstals. You're playing cards to win (or not to win) a trick because then you can collect diamonds. Every player has also a vault where he can secretly store his diamonds. There are 60 cards in the standard suits (Diamonds, Hearts, Spades, Clubs) numbered 1-15 and 10 cards are dealt to each player. Suit must be followed if possible and you win tricks by playing the highest card in that suit. The winner can do the suit action which will enable to take diamonds from the supply, moving diamonds to their showroom or vault. 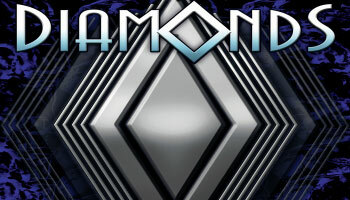 Each diamond in the vault is worth 2 points while a diamond in the showroom is worth 1 point. The player with the most points at the end of the game wins. Place all the Diamond Crystals in the middle of the table. This is known as the Supply. Small: these are 1-point Diamond Crystals. Large: these are 5-point Diamond Crystals. 1 Vault: The Vault is your secure area where you will be able to put your Diamond Crystals as directed by actions during the game. The Diamond Crystals in your Vault should remain secret to the other players. 3 small Diamond Crystals: Place these Diamond Crystals into your Showroom. The Showroom is the space immediately in front of you, next to (but not inside) your Vault. The Diamond Crystals in your Showroom are visible to all players.